The Glue Society’s Matt Devine has created a visually stunning new video for Sydney Metal Band Lo! for their song titled “ORCA”, a single from their new E.P “The Tongueless, released through Pelagic Records. 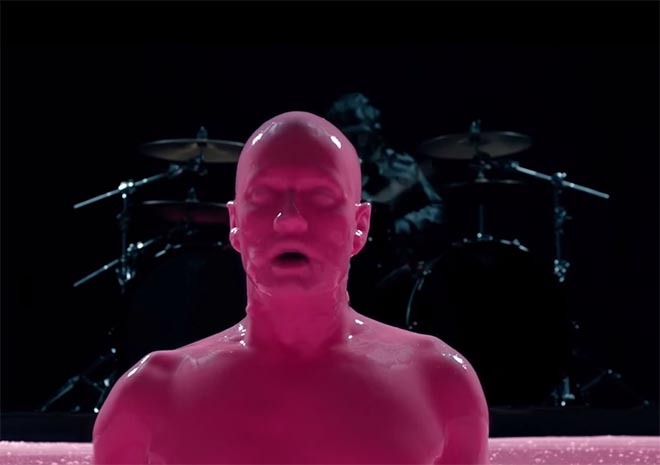 The idea behind the video was to create a scene where a pit of pink toxic waste gives birth to a human like organism that reacts to heavy music. Filming involved post 9/11 anti radiation suits and 600 litres of pink slime. Lead singer Sam Dillon gives an epicly dark performance whilst enduring being raised in and out of the sludge at the control of the bands tempo. Matt chose the colour pink to create something with extreme visual contrast, at odds with the usual dark tones of heavy music. 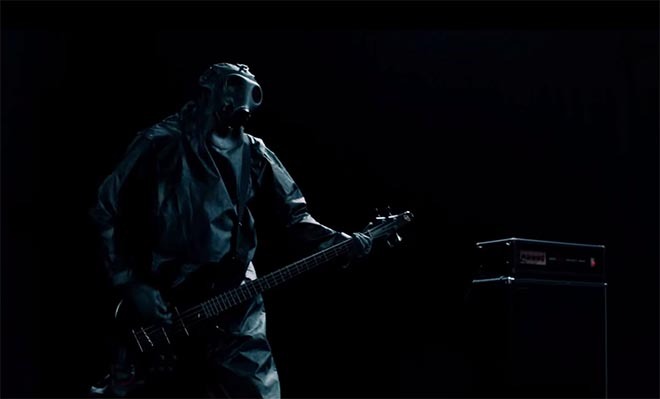 “We wanted to use a colour that heavy metal fans would usually detest in a video.” The result, ironically, is a brutally dark video that has been praised by metal fans for its originality and slick production values. Filming for the Lo Orca music video was shot by Glue Society director Matt Devine with producer Adrian Shapiro and cinematographer Stefan Duscio. Editor was Dan Lee at The Butchery. Colourist was Ben Eagleton. Post production was done at Heckler. Lo! is guitarist Carl Whitbread, vocalist Sam Dillon, bassist Adrian Shapiro and drummer Adrian Griffin.